It’s time to pop open that bottle of champagne, sit back and enjoy the Oscars. I never attend or have an Oscar party because I have found that I always miss something when I do. And anyway, in the cozy atmosphere of my home I can always watch the last hour from bed, my darling spouse snoozing beside me. One year I did watch them from a hotel bar in Cozumel, with people drifting by to ask how it was going and me jumping up and down and clapping when Kathryn Bigelow’s The Hurt Locker won best picture and she won for best director. This year I’m home and I’m not quite as certain of my choice of winner. That’s a good thing. I’m still annoyed that there were so many nominees for best picture, a ploy to get us buffs to go to the movies more often. But of the nine, which deserves to win? They were all good, although Gravity and Captain Phillips are, in my view, less worthy than the others for the top prize. This is the year of the “true” or almost true story, with no fewer than 6 of the 9 based on things that happened, more or less. Several of these films do prove the maxim that truth is stranger than fiction. In the era of the internet, though, people will believe anything. The following are my guesses on what the Academy of Motion Picture Arts and Sciences will do versus what moi would do. Keep in mind that I am rarely correct and will likely be more so this year because there are so many wonderful movies in contention. Maybe: American Hustle – This movie was hilarious and lots of fun with an all-star cast. Who should win: 12 Years a Slave – This is a unique presentation of a significant slice of American history, told somewhat more truthfully than previously to a wide audience and from a black point of view. Who will probably win: Matthew McConaughey (Dallas Buyers Club) – He did a great job, transforming his body in the process, and Hollywood loves to reward actors who play sick or crazy people. Maybe: Leonardo DiCaprio (The Wolf of Wall Street) – A charismatic guy, he played a charismatic character and did it well. This was not his best work but some say that the Academy will in a sense reward him for past work since he’s never taken home the coveted statue. It sometimes does this. Who should win: This is a tough one since I think they were all great. For me it’s a toss-up between Chiwetel Ejiofor (12 Years a Slave) and Bruce Dern (Nebraska). Who will probably win: Jared Leto (Dallas Buyers Club) – Like McConaughey he transformed his body and maybe a piece of his soul. He did a wonderful job. 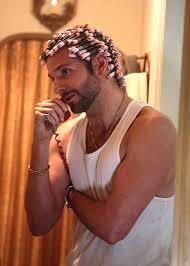 Maybe: Bradley Cooper (American Hustle) – His comic sense was terrific in the movie and it was his idea to wear his hair in curlers! Who should win: Michael Fassbender (12 Years a Slave) – He played a horrible, evil and crazy man and did it well, showing up those who claim that slavery was only about economics. Who will probably win: Cate Blanchett (Blue Jasmine) – Blanchett was amazing in this movie, playing an unsympathetic character undergoing a nervous breakdown. Maybe: Meryl Streep (August: Osage County) – Streep of course is wonderful but the role demanded less than the one Blanchett played. Nevertheless Streep might win because she is well beloved. 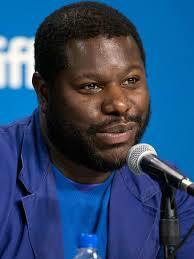 Who will probably win: Lupita Nyong’o (12 Years a Slave) – Nyong’o was wonderful in this demanding role as Patsy. 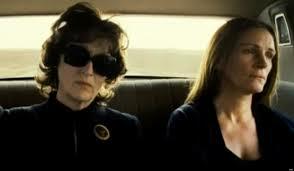 Maybe: Julia Roberts (August: Osage County) – Roberts was outstanding in this role, the best I’ve ever seen her in. But since this movie was not nominated for Best Picture, I’m not sure what her chances are. Who should win: This is the hardest category for me because I thought that they were ALL wonderful. I truly wish there could be a 5-way tie. Who will win: David O. Russell (American Hustle) – Russell was nominated last year for Silver Linings Playbook and the year before for The Fighter. They’ll probably give it to him this year. Maybe: Steve McQueen (12 Years a Slave) – As mentioned if it gets Best Picture, he won’t get this, but he’s got a good chance if Best Picture goes to another film. 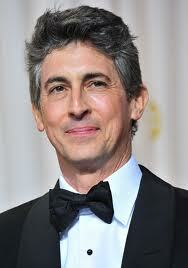 Who should win: Alexander Payne (Nebraska) – This movie could have been so very bad without the best direction and instead it was marvelous. Who was left out entirely: Surprisingly The Butler got no nods and neither did All is Lost. Tom Hanks did a stunning job in Captain Phillips but got no notice.